Here’s a great little side …or main, since this was dinner for me the other night. 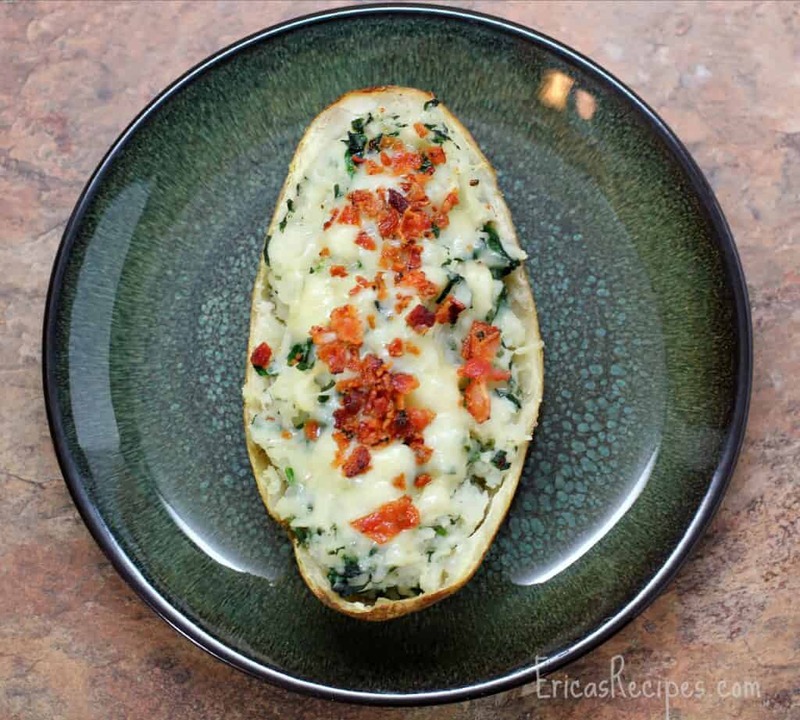 I love the combination in these Spinach, Bacon, and Buttermilk Twice Baked Potatoes. A little different from the token traditional, but so creamy, delicious, and still fully loaded. Lay out 2 squares of aluminum foil large enough to wrap around the potatoes. Place a potato on each piece of foil. Drizzle ~1/4 t olive oil over each and rub the oil all over the potatoes. Season with salt and wrap the potatoes with foil. Bake for 1 hour or until potatoes give a little when gently squeezed. Remove from the oven and set aside to cool. In a large, nonstick skillet, cook the bacon. Remove the cooked bacon from the skillet to drain on paper towels. Pour off the bacon grease from the skillet leaving 1-2 t in the skillet. Saute the spinach in the reserved bacon grease until nice and wilty. Remove to a cutting board and chop. Separately, crumble the bacon. When the potatoes are cool enough to handle, remove the foil and slice each in half. Scoop out the flesh from the potatoes into a medium bowl (using a melon baller makes this much easier) leaving a 1/4-inch thick shell of potato flesh to give the skin it's shape. 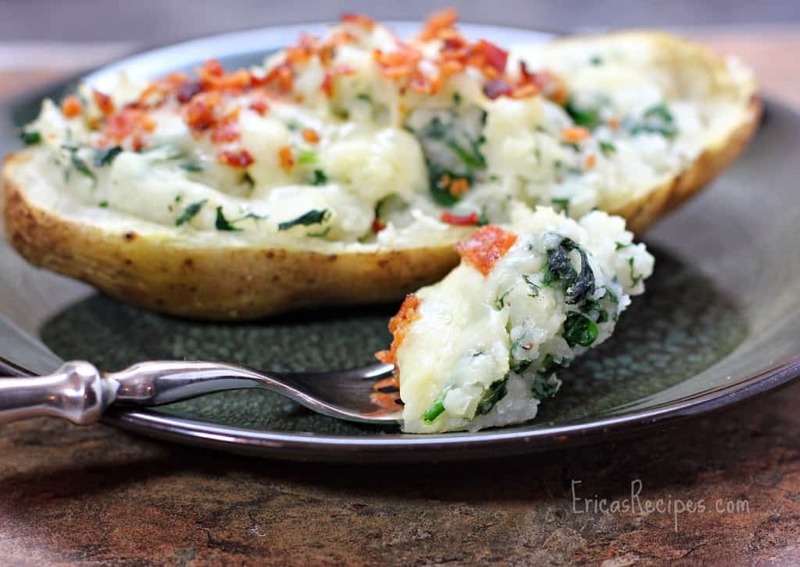 To the potato flesh in the bowl, add the buttermilk and chopped spinach and mash. Add salt to taste (at least 1/2 t). Spoon the prepared potato filling into the shells. Top with cheese and bacon. Bake at 400F for 10-15 minutes until heated through and the cheese is melted. Yields 4 servings. Oh dear God, I want this NOW! Yummmmmm…..